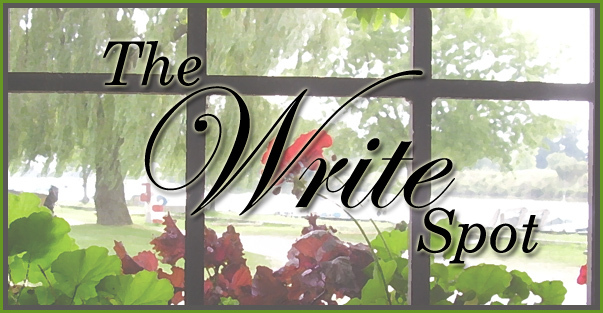 It's time for another edition of The Write Spot, a bi-weekly author series spotlighting the many and varied places where writers write. This week, I'm delighted to welcome author Kathye Quick to the blog. Born long ago in a place not so far away, Shenandoah, Pennsylvania, Kathryn Quick has been writing since the Sisters in St. Casmir’s Grammar School gave her the ruled yellow paper and a number two pencil. She writes contemporary and career romances, romantic comedies, historical romances as well as urban fantasy. 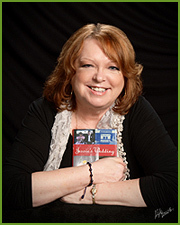 Kathye has been a member of New Jersey Romance Writers and Romance Writers of America since 1990 and considers it an honor to have been NJRW President in 1992 and 2001. She is one of the founding members of Liberty States Fiction Writers, a multi-genre writers' organization dedicated to furthering the craft of writing and helping aspiring writers move on to publication. Kathye originally wanted to be President of the United States or an Organic Chemist, but somehow life got in the way and she got married right out of high school and had a set of twins two years later. The Presidency seemed out of reach and night school to get her Ph.D. to create a new molecule that would ultimately result in the betterment of humankind seemed a little time consuming while trying to raise twins, so she decided to write instead. In her "other" life, Kathye is married to her real-life hero Donald and has three grown sons all having adventures of their own and three "bonus" grandchildren. She is a die-hard New Jersey Devils fan, works for Somerset County government (as close as she could get to the White House), and is plotting a novel about a new molecule that will ultimately result in the betterment of humankind. Welcome, Kathye. It's interesting that you've shared not one but two Write Spots. Please tell us what makes them work so well for you. 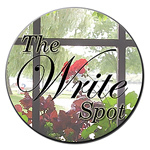 Write Spot One is in front of the TV for the first draft. Now I know that is probably making people winkle their foreheads, but I need noise in order to get creative. If there is silence, I get bored; If there is only music, I tend to sing along and get nothing done. While doing the first draft, stuff coming from TV actually spurs on the creative process; a word, a line, even commercials. They all help me create. Now Write Spot Two is where the magic happens – LOL. I do need a bit more quiet for the polishing, editing and catching all the typos. The TV is on in the other room, but the sound is not as loud. I think the TV is only playing as my security blanket, like that cute kid in Peanuts. But I must confess. All work stops during Game of Thrones (Jon Snow better not be dead. Hopefully he is not all dead just mostly dead like in The Princess Bride). I hope you're right! That's quite the doll collection you've got going on. Is there a story behind it? I started collecting dolls when I was a young 'un. LOL. These are my prized possessions since only the dolls on the shelves survived hurricane Floyd in 1999. My foundation collapsed and I had no time to save most of them. You are so "write" on. Sometimes I think they even talk to me about my plots. What a shame. I'm glad you were safe, though, and able to save at least a few of your special dolls. (A bit spooky to think of them talking to you, though!) Other than your computer or laptop, what’s the one thing you couldn't be without in your Write Spot? I guess this is obvious by the first answer – my TV. I am in the editing stages of Book Two in my Bachelors Three Series for the Wild Rose Press, so I am at Write Spot 2 now. Goal: to get the manuscript to my editor by the end of October. Book One – Bachelor.com is out now and is a geek to chic transformation story with secrets. Book Two – Solid Gold Bachelor has my rock star hero coming back home to find the girl whose heart he broke on his way to fame and fortune, only to bring murder with him. Book Three – The Bachelor’s Agenda sets politics and the media on a collision course when the perfect Senatorial candidate meets the perfect trash newspaper reporter. They sound like fun, Kathye. Where can readers find out more about you and your books? Jack Reeves has loved Kinley Adams since the day he rescued her computer from a fatal blue screen. In the two years since, the computer programmer has fantasized about a life with her. Kinley, an Engineering Assistant, has come to think of Jack as more than just a friend. One night, just when each had finally decided to reveal their feelings are deeper than friendship, a terrible automobile accident puts their confessions on hold. Doctors have no choice but to rebuild Jack's face, and the result changes everything. Can Jack and Kinley overcome his transformation from geek to chic, a secret double life, and a horde of willing women who have discovered the new Jack Reeves? Will the frog ever become the prince and ride off with his princess to live happily ever after? stillpoint is the blog of Canadian author Cheryl Cooke Harrington. Hey Cheryl, thanks for letting me stop by! Love your write spots, Kathye. How nice to have your dolls keeping you company as you write. I hope they offer inspiration when you get stuck, Love the sound of your bachelor series too. Good luck. Those dolls are adorable, but then, so are you, Kathye. I love the humor you inject into all your stories. It certainly shows in this interview. Keep writing them! 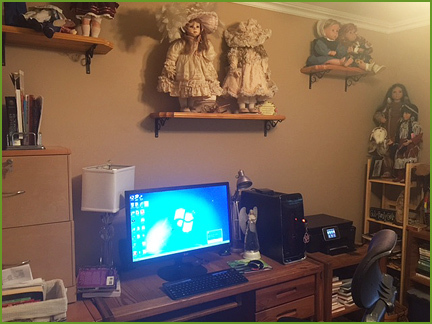 Kathye, your "write spot" is so cozy, I have a limited (due to space constraints) collection of old and new dolls too. I'm sorry you lost some of yours--but I like that there are still enough to grace your office. 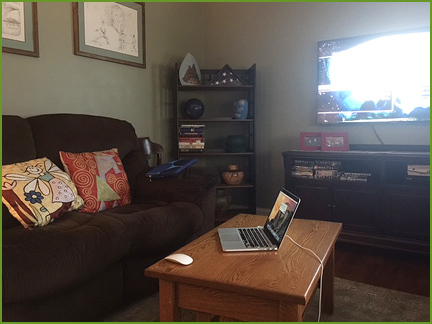 Love your Write Spot with the tv on. I admit I sometimes have sports on tv while I am working at editing and cleaning material up although for the really creative stuff I have to have silence. 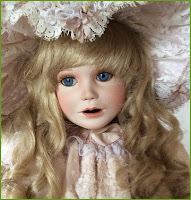 Your only issue will be when the dolls start talking back to you about your writing. Critics can be a bummer. Thanks for visiting, everyone! It's been fun getting to know Kathye and peeking inside her Write Spots. I'm in awe of your ability to write with the TV on, Kathye. And wow, I just read your story blurb. Awesome! I have to check out your series!